Sailing is a highly popular recreational activity among people all over the globe. While most people love to experience the thrill and adventure of sailing, some enthusiasts also take their love for sailing to a new level by making it a profession. So if you are among them and want to indulge in sailing for recreational or professional purposes, then RYA sailing courses are just the right option for you. RYA, or the Royal Yachting Association, is an internationally recognised body which undertakes varied kinds of responsibilities related to boating and sailing, from offering a selective range of courses to providing crucial and useful information and advice regarding safety. Their qualified and credible personnel are dedicated to making this sport more interesting and safer for you. The sailing courses offered by RYA offer comprehensive knowledge and training to people who want to learn the basics of sailing. Not only that, people who are familiar with the fundamentals and would like to improve or enhance their sailing skills can benefit from these courses as well. In short, these courses have something to offer to everyone. Their trainers and instructors are equipped with latest gadgets and incomparable knowledge, making them an ideal resource to enrich your understanding about this interesting water sport. The range of courses is quite wide, as these are designed for people with varied skill levels. This allows you to choose the course and level as per your convenience and previous knowledge. People who are new to this can start from beginner level, while others who have already tried their hand at sailing can opt for a higher level course, whichever suits their needs the best. Many times people enrolling in sailing courses are not aware about the type of course they should choose as per their ability and experience. RYA has made it easier for them by offering the option of choosing the course type after their arrival at the institute. In case they still find it difficult to make the right decision, then helpful and credible RYA instructors are always present to help them in making the correct choice. Besides this, RYA offers sailing enthusiasts the convenience of mixing course types on board. This proves to be an added advantage for families and friends who might have enrolled in different courses. They can enjoy their stay together and share an amazing experience despite the fact that the courses selected by them vary. Bringing all the relevant information, knowledge and skills under one roof, RYA is a one stop solution for anyone who wants to indulge in sailing for recreational or professional reasons. 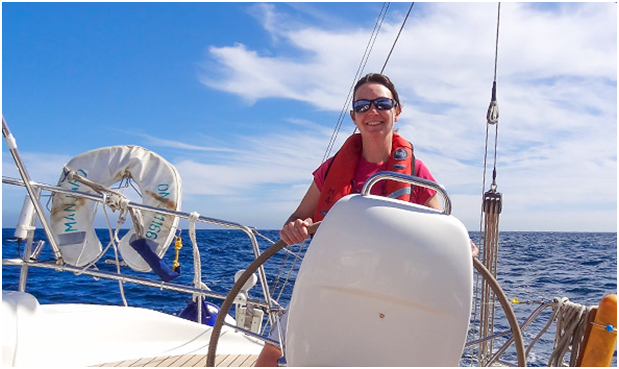 RYA sailing courses are a perfect mix of indispensable knowledge and incomparable practical experience which is difficult to find anywhere else. So anyone having an interest in sailing or boating can benefit considerably from it. If you think that being in the open sea is your calling then make sure to get enrolled in one of the courses and get ready for an experience beyond imagination. What Are The Few Types Of Horse Racing Events?